Here’s further proof that you should never leave anything of value in your hotel room. We’re not worried about someone getting in while the room is occupied. But these methods of defeating the chain lock and opening the door without a keycard (YouTube login required) do show how easy it is for the bad guys to steal your stuff. [Andrei] sent us a link to a video about drag soldering. 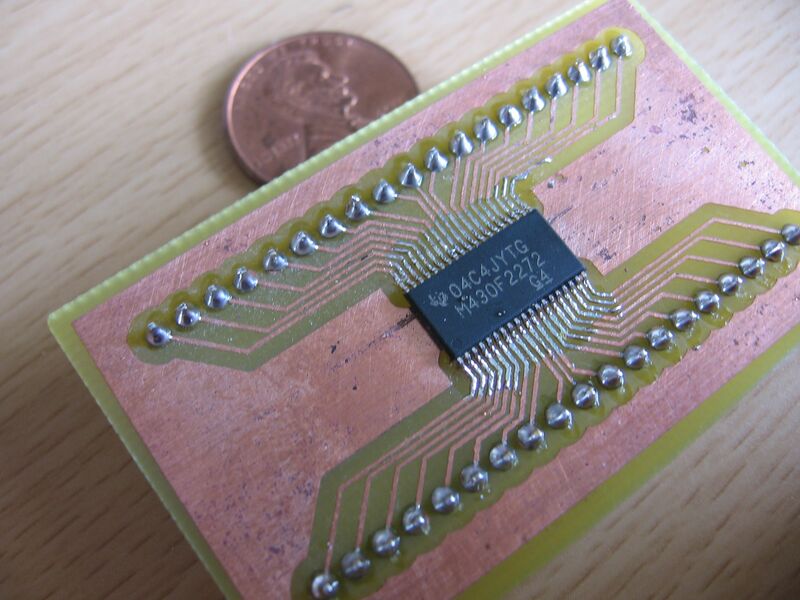 This is a method of soldering fine-pitch chips using a small bit of solder and a fat solder tip. The link he sent is dead now but we found another great example of the process. We were just using this method earlier in the week to solder a TSSOP38 package for an upcoming project and it worked like a charm. Here’s some art in PCB form thanks to a laser. 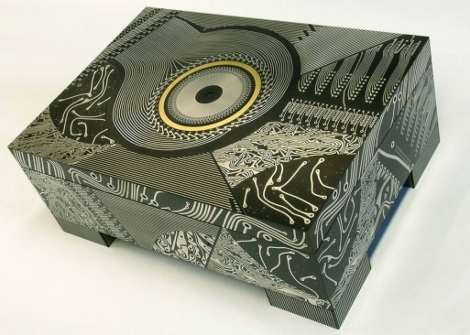 We thought this might be interesting to share after seeing those art pieces made from old circuit boards. This example is laser etched, but not directly. As you probably guessed, the copper clad board is coated with resist and the laser etches some of it away. Whatever got zapped by the laser dissolves when the board is placed in acid, leaving [Riley Porter’s] art behind. Want to clean up the Gulf of Mexico oil spill in one month? 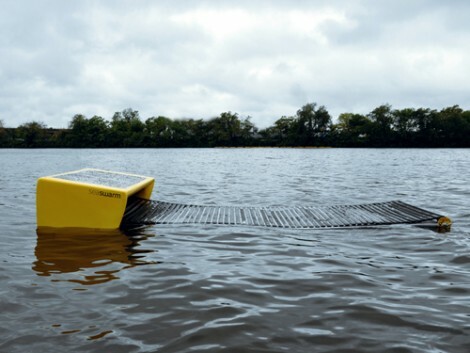 Seaswarm says it can be done with 5000 floating robots. 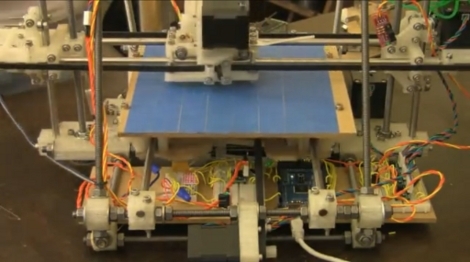 As the name implies, the project uses swarm robotics. Each unit draws power from the sun, and drags around a conveyor belt of oil absorbent nanofabric that doesn’t get wet in water. Once the fabric is saturated with crude it can be removed using heat; not a task the swarm can do by itself. But get this: after separating oil from nanofabric both can be used again. That means you get the environmental benefit of cleaning up the Gulf, not throwing away your collection medium, and the oil is once again a usable commodity. Sounds like a lot of high promises, but take a look at the video after the break and decide for yourself.